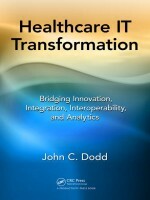 This book gives examples from healthcare institutions that are using IT automation and innovation to drive change and provides guidance on the strategic direction of HIT over the next five years. 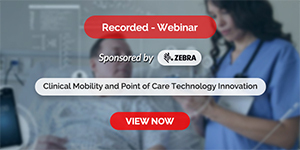 Improving the delivery of healthcare through HIT is vital for both the economic success of healthcare organizations and the care of the patient, but most EMR systems do not have an integrated and architected approach. This book provides a detailed approach on how to leverage IT for transformation. It also shows how to build upon the experiences of other industries and helps foster innovation by providing a vision of where technology can be an enabler. This book provides a strategic plan, incremental roadmap and approach to adapt and extend for the healthcare organization and community where innovation needs to build upon the experience of others, proffers a very specific innovation, quality and outcome framework that can be used for Macro-Policy Level Changes, bridging innovation from connected communities and the micro systems improvement analytics approach that allow benchmarking and comparison across the diverse U.S. Healthcare delivery system, focuses on person-centric integration and bridging to the functional elements implemented during Wave 1, delivers an interoperability and information-sharing approach based on the extensive experience of U.S. intelligence and homeland security but tailored to healthcare and aligned with the slowly emerging standards as well as presents practical choices and alternatives that your organization can choose as part of the changes to the healthcare delivery system.